The immediate reaction of the Green/Left to the article below will be an "ad hominem" one. They will say that Tim Ball has now proven himself a loony. "He believes in that crazy Velikovsky guy", they will say. That is of course NOT the point of the article below at all. Ball does NOT say that he accepts the Velikovsky theories. He does however note that some of Velikovsky's predictions have been borne out, which is more than you can say about Warmist predictions. The point of the article below is that Velikovsky was greeted with censorship, not reasoned debate. Sound familiar? As it happens, I long ago read all three of Velikovsky's books and found them interesting. His cosmological explanations however require a much more changing solar system than is plausible so I do not accept his explanation for the interesting phenomena that he draws together. If his work had been regarded as an interesting starting point we might by now have some improvenents in historical knowledge (and note that Tim Ball is mostly an historian). But that was not to be. Velikovsky upset too much of that wonderful "consensus" so minds snapped shut. Many years ago, a colleague approached the President of the University with our plan to hold a conference on the ideas of Immanuel Velikovsky. He angrily rejected the plan saying he would not allow anything on campus associated with that charlatan. The President was a physicist and Velikovsky had challenged prevailing scientific views. In some ways, it doesn’t matter whether Velikovsky was right or wrong. The problem was the reprehensible actions of the scientific community. His treatment holds many lessons for today’s debate over climate change. Complexity of the corruption by the few scientists who hijacked climate science is revealed by comparison. They quickly established their views as the prevailing ‘truth’ through the Intergovernmental Panel on Climate Change (IPCC) by deliberately misusing climate science and also misusing basic science. They isolated anyone who challenged either part of their false science in the same way Velikovsky was marginalized. Western science and religion battled for hundreds of years. Many conflicts involved new ideas and their final victories were considered turning points in the fight for people’s beliefs. In winning, science became more dogmatic than the religion it replaced. Gradually the focus shifted from a conflict with religion to rejection of new ideas by practitioners of the prevailing scientific views. 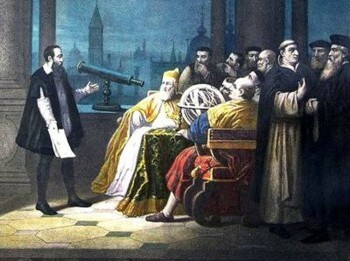 Historically, new scientific ideas were vigorously resisted and their proponents attacked by religion. That comment is now true within science. Usually most people don’t care or don’t understand the significance of the new ideas. Copernicus put the Sun at the centre of our solar system but it doesn’t matter for most as long as the sun rises and sets. A critical change in the adoption and infiltration of ideas came with extension of government-controlled education. From kindergarten through university, it became indoctrination not education. Rapid spread and lack of understanding of the anthropogenic global warming (AGW) theory occurred because it quickly became part of school curricula. This was exacerbated because knowledge of science is necessary, but the subject was mostly covered in social sciences. It reflects the political nature of the subject and resulted in extensive indoctrination of ignorance. Graduates of this ignorance now control education, science and politics at all levels. Velikovsky was a Russian medical doctor with a lifelong interest in providing possible explanations for events recorded in historic records. A multi-linguist, he read original works from several middle-eastern cultures. He was on sabbatical in the US researching a book when World War II began. He stayed and began producing works on what the establishment categorized as catastrophism. Putting him in that category is part of the attack on his ideas from mainstream scientists. Consider the pejorative nature of this quote from Wikipedia. “Velikovsky began to develop the radical catastrophist cosmology and revised chronology theories for which he would become notorious.” Why “radical” or “notorious”; these are judgmental adjectives used because he dared to suggest there is another interpretation of the evidence. His views became problematic when Macmillan published Worlds in Collision in 1950. The book immediately became a best seller. There were several problems for establishment thinking. Catastrophic events were contrary to the prevailing philosophy of uniformitarianism. He was trained in medicine not geology or astronomy. He was Russian, a serious problem in the McCarthy era. He dared to suggest that historical records were of actual events – an idea problematic in climate science even today. Worse, he used the Bible as a source of evidence. Wikipedia comments again show the bias. “Even before its appearance, the book was enveloped by furious controversy, when Harper’s Magazine published a highly positive feature on it, as did Reader’s Digest with what would today be called a creationist slant.” Ah, the dreaded anti-science word creationism. He was not indoctrinated by formal education in academic science – the bastions of dogmatism and intellectual tunnel vision. His ideas did not conform to established astronomical views on planetary motion. He published his ideas in popular magazines and trade books that went directly to the public who might challenge official science. He followed success of World’s in Collision with another bestseller Ages in Chaos. His work was interdisciplinary at a time of specialization. Worse, it blended science with the humanities and the social sciences. Velikovsky’s story is fascinating, but my focus is on the reactions of the establishment, especially of Harlow Shapley. He had a checkered career apparently shaped by his rigid thinking and personal animosities. After graduating from Princeton, he worked at the Mount Wilson Observatory, then Harvard College Observatories. He attended the Institute on Religion in an Age of Science, which is at best a most pointed title. He was influential in forming government funded science institutions including the National Academy of Sciences. The latter has an ignominious part in the global warming debacle. Macmillan was the only publisher in history who surrendered a best seller at peak sales. Shapely denied any involvement in the action. Velikovsky subsequently exposed his role in a letter to the Harvard Crimson. Macmillan was vulnerable to Shapley’s threats of curtailing academic textbooks because that was their major source of income. As with all these matters, the action is blameworthy, but the cover up compounds the error. Velikovsky discusses the events in Stargazers and Gravediggers. Velikovsky’s major ideas built on the claim that Earth has experienced natural global disasters throughout its history. The major cause of natural catastrophes was brushes with other objects in the solar system and beyond. It’s probably thanks to Velikovsky that Walter and Luis Alvarez were able to propose the claim that a collision with an asteroid 65 million years ago led to extinction of dinosaurs. The father/son connection serendipitously allowed cross-discipline discussion between physics and geology. The intellectual isolation of specialization has undermined the ability to understand. In the end, Velikovsky succeeded because he passed the ultimate test of science: the ability to predict. More important, they were in contradiction to prevailing views. He made many and apparently, none is incorrect to date. The interesting one was the temperature of Venus which was almost double what the textbooks said. The same textbooks that incorrectly use Venus as an example of runaway CO2 induced Greenhouse Effect. Failure of the University President to approve a conference on Velikovsky was symptomatic of the dogmatic, closed minds that pervade modern science. 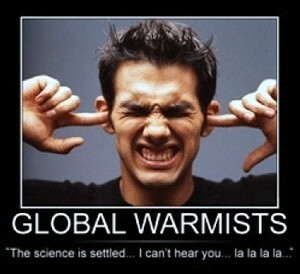 The few scientists involved with the AGW debacle deliberately exploited and practiced that condition. 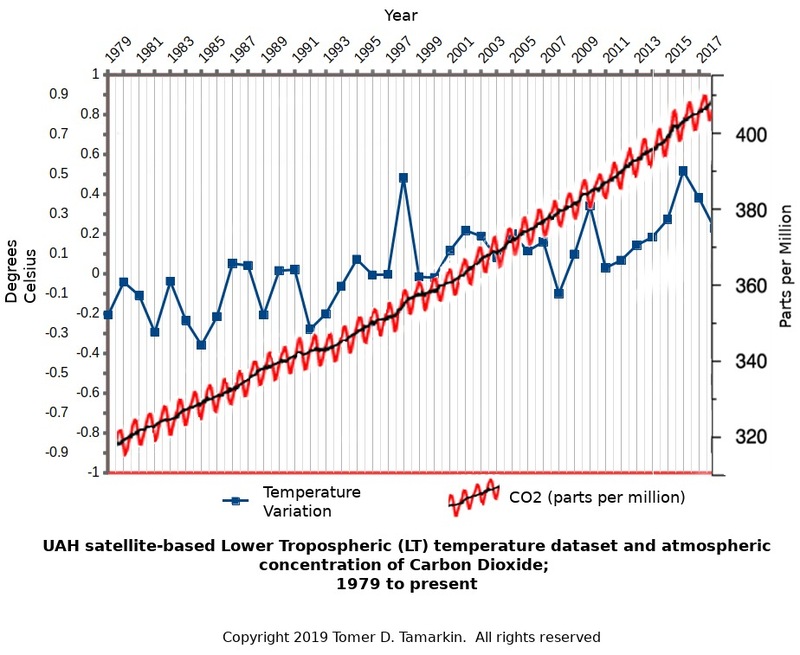 Love those "adjustments" and "data filling"
A new study by Institute of Atmospheric Physics (IAP) proposed a new estimate on upper 0-700m ocean warming rate from 1970 to 2014: 0.55 ± 0.14 × 1022 J yr−1 (168TW). This estimate indicates a quicker upper ocean warming than previous estimates (i.e. the Intergovernmental Panel on Climate Change Fifth Assessment Report, IPCC-AR5). Ocean heat content (OHC) change contributes substantially to global sea level rise (30%~50%), and provides a key metric for the earth’s energy budget (90% of the earth’s energy imbalance is stored in the ocean), so it is a vital task for the climate research community to estimate historical OHC. While there are large uncertainties regarding its value. IPCC AR5 provided five independent estimates of historical OHC change from 1970 to 2010 by five different international groups ranging from 74TW~137TW. Among these values, the minimum is as much as a half of the maximum, implying large divergence in the assessment of the ocean warming rate. That’s because there are several major error sources during OHC estimation. Dr. Cheng Lijing, Prof. Zhu Jiang from IAP carried out a series of studies examining and quantifying the error sources in OHC estimates, including systematic biases in ocean temperature observations: expendable bathythermograph (XBT) data (Cheng et al. 2014), insufficient vertical resolution of historical temperature profiles (Cheng and Zhu, 2014a), choosing a proper climatology, and how to infill the data gaps (Cheng and Zhu, 2014b). These improvements lead to a new reconstruction of historical upper (0–700 m) OHC change, which is presented in this study as the Institute of Atmospheric Physics (IAP) version of historical upper OHC assessment. Cheng and Zhu then worked with John Abraham from University of St. Thomas, USA, and obtained upper 0–700 m OHC trend which is 0.55 ± 0.14 × 1022 J yr−1 (168TW) from 1970 to 2014 (Figure 1a, in red), stronger than IPCC-AR5’s estimates. 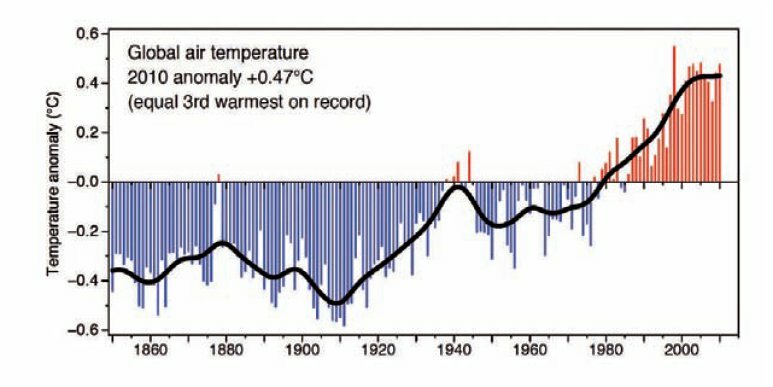 The long-term trend reveals the signal of anthropogenic forcing since industrial revolution, and inter-annual variability is dominated by El Niño-Southern Oscillation (ENSO). Furthermore, they show that Coupled Model Intercomparison Project, Phase 5 (CMIP5) simulations have limited ability in capturing the interannual and decadal variability of historical upper OHC changes during the past 45 years (Figure 1b). "My colleagues and I have a new publication, which better characterizes this heating and also compares climate model predictions with actual measurements. It turns out models have under-predicted ocean warming over the past few decades. "But how would you measure the ocean? How would you make consistent, long-term measurements that would allow people to compare ocean heat from decades ago to today? How would you make enough measurements throughout the ocean so that we have a true global picture? "This is one of the most challenging problems in climate science, and one that my colleagues and I are working hard on. We look throughout measurement history; first measurements were made with canvas buckets, then insulated buckets, and other more progressively complex devices. Many measurements were made along ocean passageways as ships transported goods across the planet. "As more ship travel occurred, and more measurements were made, the coverage of temperature measurements across the globe increased. So, over time, we say the temporal and spatial resolution increased. As these changes occurred, you have to be careful that any trend you see isn’t just an artifact of the resolution or the instrument accuracy. "We also pay attention on one particularly important measurement device called the eXpendable BathyThermograph (XBT). This device, originally designed to make crude measurements for navies, has been used for years by climate scientists. There is systematic bias in XBT data, which creates spurious “ocean warm decades” from 1970s to early 1980s as reported in the IPCC Fourth Assessment Report. "What my colleagues determined was that we could reduce past errors in the ocean heat content (OHC) record by correcting systematic measurement biases, filling in gaps where no information is available, and by choosing a proper comparison climate. This new paper doesn’t solve all of the OHC issues, but it makes a great stride in clearing up past questions. "Lead author, Dr. Lijing Cheng (who works for the International Center for Climate and Environment Sciences in China) applied four separate improvements to data. He focused his attention on the heating in the upper 700 meters of ocean waters because that depth has the best measurements and it also is the region where much of the global warming heat goes. "Going back to 1970, we find that the upper 700-meter water layer temperature has increased approximately 0.3°C (approximately 0.55°F). While that may not sound like a lot, we have to remember this is a huge amount of water and consequently it requires an enormous amount of energy. "We separated the world’s oceans into the Atlantic, Pacific, and Indian. All three of these oceans are warming with the Atlantic warming the most. We also calculated the ocean heating by using 40 state-of-the-art climate models. Over the period from 1970, the climate models have under-predicted the warming by 15%. "A remarkably close match that gives us a lot of confidence in the models. On the other hand, the models were not able to predict shorter-term fluctuations in ocean heating contained within the observed time period." Ocean heat content (OHC) change contributes substantially to global sea level rise, so it is a vital task for the climate research community to estimate historical OHC. While there are large uncertainties regarding its value, in this study, the authors discuss recent progress to reduce the errors in OHC estimates, including corrections to the systematic biases in expendable bathythermograph (XBT) data, filling gaps in the data, and choosing a proper climatology. These improvements lead to a better reconstruction of historical upper (0–700 m) OHC change, which is presented in this study as the Institute of Atmospheric Physics (IAP) version of historical upper OHC assessment. Challenges still remain; for example, there is still no general consensus on mapping methods. Furthermore, we show that Coupled Model Intercomparison Project, Phase 5 (CMIP5) simulations have limited ability in capturing the interannual and decadal variability of historical upper OHC changes during the past 45 years. President Obama gave a doom and gloom speech yesterday at the Global Leadership in the Arctic (GLACIER) conference in Alaska to build momentum for the U.N. climate deal in Paris this December. So far less than one third of countries have submitted plans to cut carbon dioxide emissions by the Wall Street Journal’s count. According to Obama, “Climate change is happening faster than we’re acting” and the world is facing a future of more fires, more melting, more warming, more suffering. But there are at least two major problems with his focus on global warming as he’s presented it in Alaska. Obama continues to ignore science that doesn’t fit his narrative and has ignored sound evidence from people who disagree with him. Many of the environmental trends Obama has warned of do not appear to fit current realities. Yet data of observed reality collected from the U.N.’s International Panel on Climate Change and the U.S. National Climate Data Center does not show increasing frequency of extreme weather across the globe, whether you look at hurricanes, tornadoes, droughts, or floods. With so much yet unknown or unclear, one has to wonder if we are entirely misdiagnosing the problem. What Will New Measures Do? Obama hasn’t given Americans, or the world, an answer to perhaps the most important question: what kind of impact will global warming measures accomplish? For starters, Federal subsidies and tax credits for wind and solar have cost billions of dollars while only increasing wind and solar contribution to the American energy by only 5 percent. In addition, it has tied both industries to government dependence with only minor success. Energy efficiency mandates have reduced choices for Americans through the back door of regulation. That has meant more expensive kitchen appliances or car models that must prioritize carbon dioxide emissions over other preferences like size, safety, or performance, not to mention an insult to the ability of Americans to make good energy efficiency choices for themselves. And the Clean Power Plan, should it survive the serious legal problems with the regulations, promises to create a $2.5 trillion loss in GDP, hundreds of thousands of jobs lost, and a total income loss of $7,000 per person by 2030. Those hardest hit will be people in manufacturing and with lower incomes. Tell that to those in the coal industry facing the gauntlet of the Clean Power Plan and a slew of other federal regulations, or miners and oil companies in Alaska in the crosshairs of the Obama administration’s zero carbon economy. As it turns out, these mandates and subsidies also prove to be barriers to the progress and innovation the Obama administration wants. Where does it get us on the path to addressing global warming? Just shy of nowhere, or less than 0.002 degrees Celsius using an EPA model. 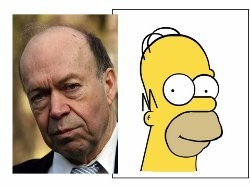 Jim Hansen, far from Obama’s global warming “deniers,” called the Clean Power Plan “practically worthless,” even though it is the centerpiece of the Obama administration’s climate agenda. The administrator of the Environmental Protection Agency, responsible for the Clean Power Plan, has testified before Congress that the Clean Power Plan isn’t about reducing global temperatures but “an investment opportunity” and “the tone and tenor” of international climate discussions. Too many government policies, at home and abroad, make opportunity further out of reach under the misguided notion of making a dent in global warming. In the process they thwart the opportunity, mobility, and wealth that can empower people to deal with environmental challenges. Most of us feel that time goes by faster as we get older. It does. When you are five years old, one year represents 20 percent of your life. Yet, when you are fifty, that same calendar year is only 2 percent of your life — making that single timeframe much smaller. Those of us involved in fighting the bad energy policies coming out of Washington have a similar feeling: the second term of the Obama Administration seems to be throwing much more at us and at such speed that we can barely keep up. Likewise, they are. We knew that President Obama was planning to fundamentally transform America, but even many of his initial supporters have been shocked as his true intentions have been revealed. Following his November 2012 reelection, his administration has removed any pretense of representing the majority of Americans and has pursued his ideological agenda with wild abandon — leaving many of us feeling incapacitated, thrown to the curb as it speeds by. Having failed to push the unpopular policies through Congress, the administration has resorted to regulatory overreach — and assembled a campaign to use friendly governors and state attorneys general offices, in collaboration with pressure groups and ideologically aligned benefactors, to advance the agenda. This was done, according to dozens of emails obtained through federal and state open record laws “through a coordinated campaign of parallel advocacy to support close coordination of public offices” and involved a “political operation with outside staff funded by some of the biggest names in left-liberal foundation giving,” including, according to the emails, Tom Steyer, Michael Bloomberg, the Rockefeller Brothers, and the Hewlett Foundation. The first emails in the scandal began in mid-2013. I’ve read the entire report — which had me holding my breath as if I were reading a spy thriller — and reviewed the emails. The E&E Legal report was of particular interest to me in that it followed the theme of my extensive coverage of Obama’s green energy, crony corruption scandal. Many of the same names, with which I’d become familiar, popped up over and over again: Terry McAuliffe, who received government funding for his failed electric car enterprise; Cathy Zoi, who worked for the Department of Energy; and, of course, John Podesta, who ran the Center for American Progress and who helped write the 2009 Stimulus Bill, and who then became a “senior advisor” to President Obama and is presently campaign manager for Hillary Clinton. Yes, I am part of a loosely-affiliated network of people who share similar concerns. Once a year, I meet with a group of private citizens and activists over property rights issues. I am on an email list of individuals and groups opposing wind turbines — often for different reasons. I have a cadre of scientists I’ve met at different meetings upon whom I do call for their varied expertise. Individuals often email me tips and news stories. True, most of the folks on my nearly 5,000-person email distribution list are part of the energy industry — though there are plenty of concerned citizens, too. In 2014, the average donation to my organization was under $500. Imagine what we could do with the same amount of money and coordination the E&E Legal report revealed, after all we have the public on our side — average citizens whose utility bills are going up by double digits due to the policies espoused by President Obama and his politically connected allies who benefit from Americans’ tax dollars. I hope you’ll join our chorus — you can subscribe and/or contribute to my efforts. We are not working in the shadows and are, in fact, proud of our efforts on behalf of all Americans, their jobs, and energy that is effective, efficient, and economical. If this small — but organized and well-funded — group pushing Obama’s agenda were allowed to run rampant, without the roadblocks little pockets of opposition (like my group) erect though public education and exposure of the facts (such this E&E Legal report), it is scary to think about where America would be today. Remember, you are either part of the problem or part of the solution. As President Obama jetted to Alaska Monday to talk up his climate change plans, burning through nearly 17,000 gallons of fuel, a new report showed that his "Clean Power Plan" will increase consumer electric bills 16 percent and speed plans by job-creating manufacturers to flee America's high fuel costs. The free-market focused Institute for Energy Research said that Obama's plan to replace coal-fired plants with renewable energy makers like windmills and solar will force companies to spend up to four times more on energy and hit consumers. "The so-called Clean Power Plan is expected to decrease carbon dioxide emissions in the generating sector by 32 percent from 2005 levels by 2032. To do this, massive amounts of coal-fired generating capacity will be shuttered and wind and solar power will be built in their stead—technologies that cost 2 to 4 times more than the coal capacity that is being shuttered," said the group in a report issued Monday. They also cited the impact on consumers: "According to the Energy Information Administration (EIA), residential electricity prices are expected to be 16 percent higher in real prices than today due to the proposed regulation and others imposed on the generating sector by EIA." Obama and his supporters have been touting the positive impacts of the plan, but the report attempts to put a price on the initiative. He was expected to discuss climate change in Alaska and the results of doing nothing. Air Force One burns about five gallons per mile, for a total of 16,875 gallons used to promote climate change initiatives in Alaska. Several states have sued to stop his plan. The report, which quotes multiple government and other official sources, said that the development of energy in the United States, leading to cheaper prices, has lured many American companies back to the homeland to set up shop. Even some Chinese firms are relocating to the U.S. because of cheaper energy. But it warns that the attractiveness of the United States will end with the new Obama regulations. "Low energy prices and American ingenuity have brought manufacturing back to this country. However, all this is likely to change as President Obama's regulations go into effect, making electricity and natural gas prices escalate, forcing companies to accept higher domestic operating costs or move offshore," warned the report. The report concluded: "President Obama is making energy prices escalate due to stringent environmental regulations being promulgated by the EPA. Due to the timing of these regulations, most of the price increases will not been seen by the public until his second term is up. Nonetheless, the headway the United States made to bring manufacturing back to America is being threatened. The result will be a loss of jobs that we cannot afford." An organic farmer in Western Australia whose crop was contaminated with genetically modified (GM) canola from a neighbouring farm has lost his court appeal for compensation. Steve Marsh of Kojonup lost organic certification over most of his farmland in 2010 after genetically modified seeds and swathes blew onto his farm. Mr Marsh went to court, seeking more than $80,000 in compensation. But last year the Supreme Court dismissed the case, saying neighbour Michael Baxter had not acted negligently and could not be held responsible just for growing a GM crop in a conventional way. It also awarded Mr Baxter costs. The Court of Appeal has now dismissed appeals on the case and the costs in a two-to-one decision. Earlier this year it was revealed that Monsanto had contributed to Mr Baxter's costs while Mr Marsh's campaign has been supported by the Safe Food Foundation. Outside the court, Mr Baxter said he had been confident of winning. "We certainly never doubted all the way through that we were probably going to be on the winning side," he said. "This should never have even gone to court because between farmers, we should've just had a chat over the fence, had a couple of beers, you know, this would've been all sorted out. "He's an organic farmer, he can't spray, he can't use chemicals, you know he's got red mite, he's got aphids, he's got rust, he's got all the diseases in the world, does he worry about that? "They blow over the fence, I get them all the time. "Do I whinge, do I complain? No, not at all." Mr Baxter said he had no relationship with Mr Marsh anymore. "He took the hard line, he made the decision," he said. He thanked the Pastoralists and Graziers Association for their support. The decision was another blow for Mr Marsh. "I guess what this has demonstrated is that common law does not protect farmers against GM contamination, that's obviously very clear," he said. "This argument that it's like a leaf blowing next door or something blowing next door, it's quite ridiculous. "This product's got a technology in it, it's got a patent on it to start with, so you can't tell me a leaf blowing next door or an aphid or a weed is the same as GM technologies." Mr Marsh said he was considering whether to appeal to the High Court. "It was obviously a two-one decision so they weren't all against us," he said. Mr Marsh was asked whether he was prepared for the possibility of losing his farm. "You've got to deal with what you've got to deal with - if you don't stand for what you believe is right then that's it," he said. The court had sought to rule on costs, but that will be decided on submissions in the coming weeks after a request from Mr Marsh's counsel. 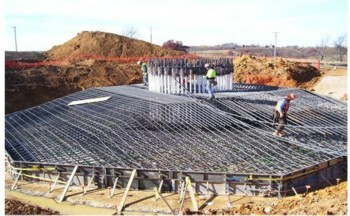 Costs are estimated to be in the hundreds of thousands of dollars. Mr Baxter has said the funds he received from Monsanto were considered to be a loan, and the support was no different to what Mr Marsh had received from other groups. 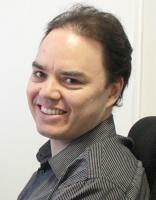 Safe Food Foundation Director Scott Kinnear described Mr Marsh as a "hero" for "standing up" to GM technology. Speaking outside the court, Mr Kinnear said the farmer would continue to have the organisation's support if he decided to appeal further. "We have to sort this issue out, we have to sort it out either in the courts, or politically it needs to be sorted out," he said. Mr Kinnear said Mr Marsh was already "down significantly on funds". "He's lost his sheep, which was a significant part of his income," he said. "We have to help him get back to where he was." Pastoralists and Graziers Association grain growers' committee chairman John Snook said the decision had big implications for farmers. "What it means is [farmers] can grow GM canola with certainty, they don't have to be worried about being potentially attacked and sued by an organic neighbour," he said. "We have always stood by Michael Baxter and will continue to do so until this issue is completely finished." Appeals Court president Justice Carmel McLure decided in favour of Mr Marsh and his wife, who were both appellants. She found the interference with the appellants' use and enjoyment of their property was both substantial and unreasonable and constituted a private nuisance. Justice McLure said Mr Baxter "had actual knowledge of the risk of decertification when he engaged in the conduct which caused the harm to the appellants". She said Mr Marsh was entitled to damages amounting to $85,000. But Justice David Newnes and Justice Graeme Murphy decided in favour of Mr Baxter. They said Mr Marsh's choice of farming operations did not mean Mr Baxter's lawful use of his own land "constituted a wrongful interference with the appellants' use or enjoyment of their land". They also said Mr Marsh and his wife had "put their land to an abnormally sensitive use" and they could not "unilaterally enlarge their own rights" and impose limitations on their neighbours to a greater extent than would otherwise be the case. You can think of the Velikovsky controversy as battlespace preparation. One of the commonest taking points of the Other Side is that anything published by a really prestigious publisher may not be challenged. In order to get away with that, they had to keep the publishers on the A list from publishing anything controversial.